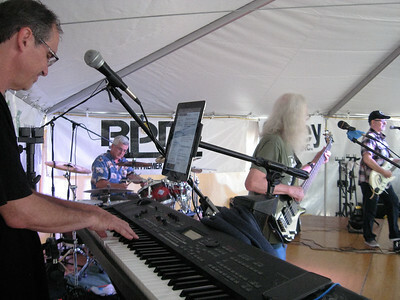 BOB SANDRICK / GAZETTE Last Call, a classic rock and blues band, performs Saturday at the 2017 Summer Celebration in Brunswick. BOB SANDRICK / GAZETTE Cloudy skies might have kept the crowds away initially Saturday at the 2017 Summer Celebration in Brunswick but soon families started to pour in. 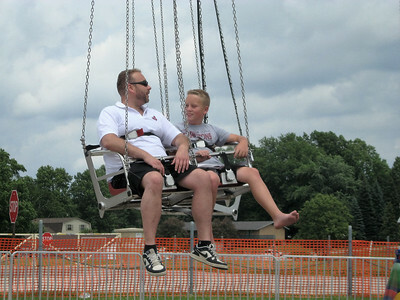 BOB SANDRICK / GAZETTE Joe Westfall and his son James, 11, of Akron take a ride on Vertigo, a circle of flying swings, on Saturday at the 2017 Summer Celebration in Brunswick. 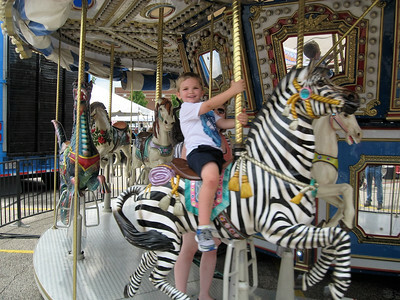 BOB SANDRICK / GAZETTE Caleb Langos, 5, of Wadsworth shows his excitement while riding the merry-go-round Saturday at the 2017 Summer Celebration in Brunswick. His mom Lisa Langos, hidden in the photo, rides with him. 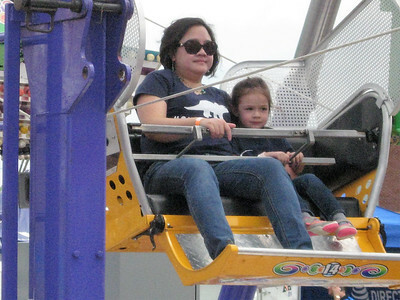 BOB SANDRICK / GAZETTE Tala McGloin and her 3-year-old daughter Stella of Akron ride the Ferris wheel on Saturday at the 2017 Summer Celebration in Brunswick. 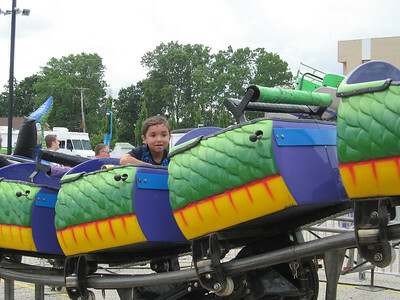 BOB SANDRICK / GAZETTE Danino Toth, 6, of Medina, looks out at his father while riding the Dragon Wagon on Saturday at the 2017 Summer Celebration in Brunswick. 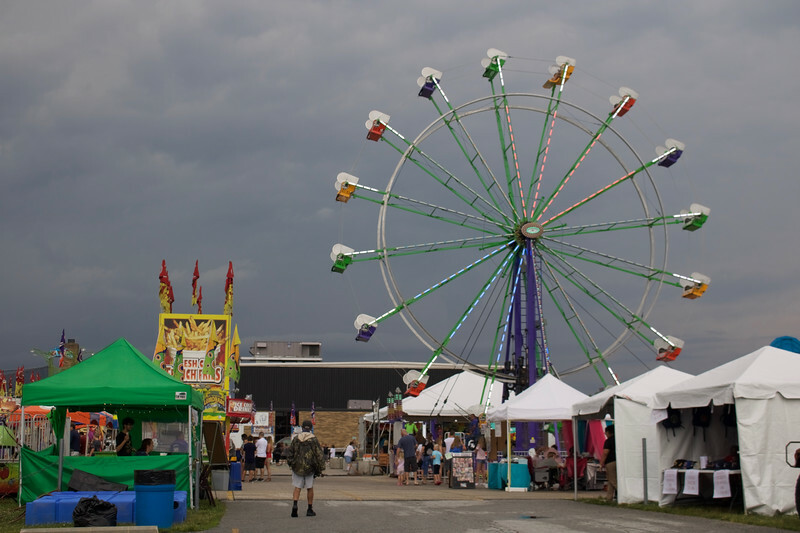 BOB SANDRICK / GAZETTE Cloudy skies are shown Saturday as crowds come to the 2017 Summer Celebration in Brunswick. ALEC SMITH / GAZETTE A float is shown Sunday in the July 4 holiday weekend parade held on Center Road (state Route 303) in Brunswick as part of the city’s Summer Celebration. Shown at left in the American flag T-shirt is Dave Hayes of Hinckley Township, an Air Force veteran. In the sailor uniform is Tom Bizzi from Brunswick, a veteran of the Navy. Shown as Miss Liberty is Barb Hayes of Hinckley, the wife of Dave Hayes. Shown on the corner on the right is Ralph Johnson of Hinckley Township, an Air Force veteran. 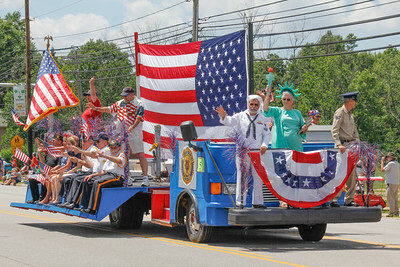 Driving the float in the back in the red hat is Bob Prevost, an American Legion Post 234 Commander from Brunswick. ALEC SMITH / GAZETTE Brunswick High School’s marching band is shown on Center Road (state Route 303) on Sunday as part of the city’s 2017 Summer Celebration parade. 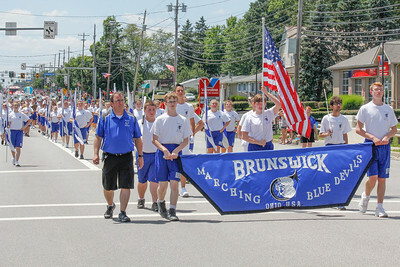 Shown at front from left are Jay Wardeska, high school band director; at left holding the banner is junior Cody Baker, with senior Sean Wiblin at right. 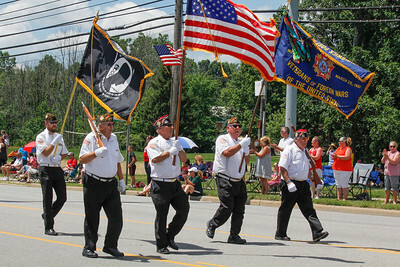 ALEC SMITH / GAZETTE Flags and a military color guard lead a parade on Center Road (state Route 303) on Sunday in Brunswick as part of the city's 2017 Summer Celebration. 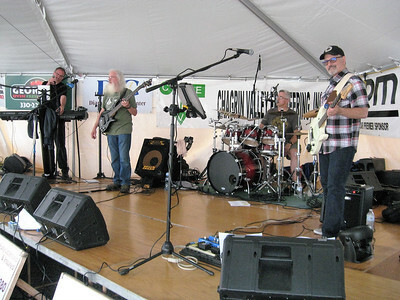 Shown from left in front are Josh Hakes (in rear), Bill Bland, Commander Norm Cerny, Bob Merrill and Tom Chester. Leo Chaney was also part of the group from VFW Post 9520. LUCAS FORTNEY / GAZETTE Guests trickle through the City of Brunswick’s Summer Celebration grounds at 6 p.m. Friday, an hour after its opening. The festival has seen rain for two days in a row, with rain in today’s forecast, as well. LUCAS FORTNEY / GAZETTE Guests trickle through the City of Brunswick’s Summer Celebration grounds at 6 p.m., an hour after its opening. 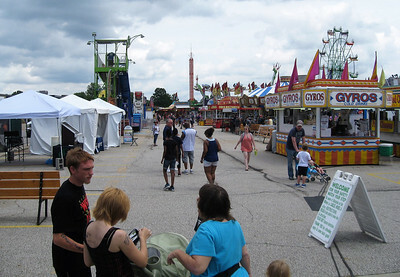 The festival has seen rain for two days in a row, with rain in today’s forecast, as well. 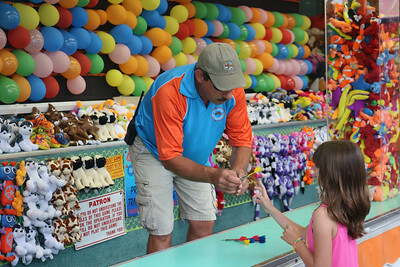 LUCAS FORTNEY / GAZETTE Chuck Harrison explains the rules of his station to a young girl and hands her a dart for a practice throw at an arcade event Friday at the Brunswick Summer Celebration. Harrison has operated his traveling station for 28 years in a row and said he was excited to see that folks came out despite the weather. 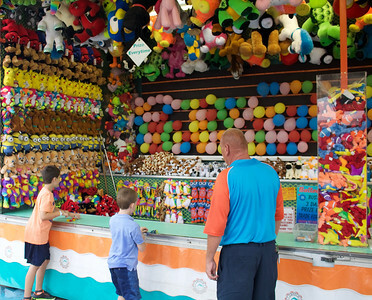 LUCAS FORTNEY / GAZETTE Karry Beaver (right) watches as Max Whitehair, age 7 (center), and his brother Alex Whitehair, age 9 (left), throw darts and compete for prizes. Both Max and Alex popped balloons, earning themselves second-tier prizes. 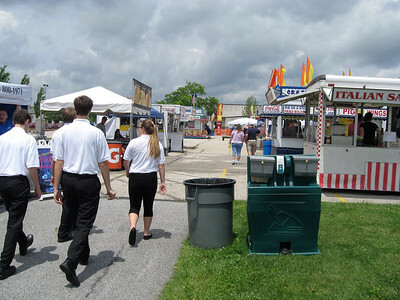 Guests trickle through the City of Brunswick’s Summer Celebration grounds at 6 p.m., an hour after its opening. 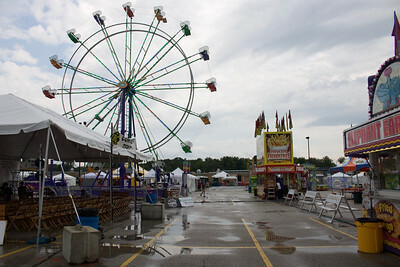 The festival has seen rain for two days in a row, with rain in today’s forecast, as well.